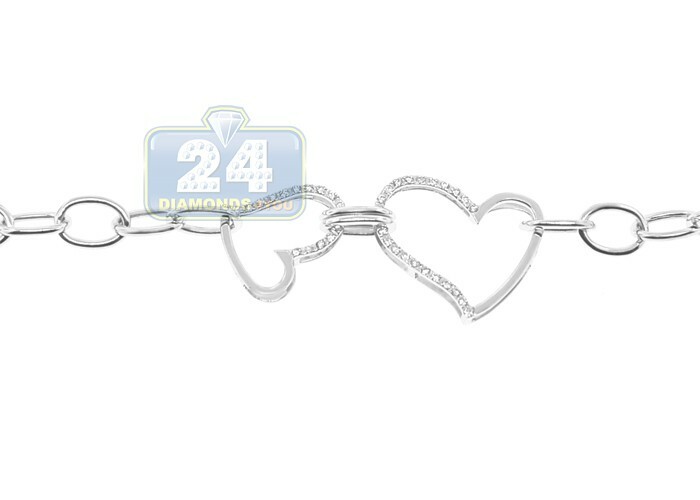 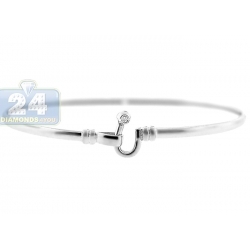 Womens Two Hearts Cable Link Bracelet 14K White Gold Diamond 7"
This cable link bracelet mixes romance and style! 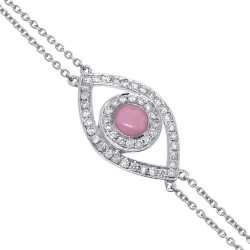 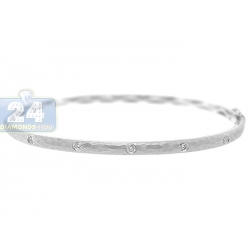 This piece of jewelry is masterly produced from cool 14 karat white gold with high-polished shiny finish. 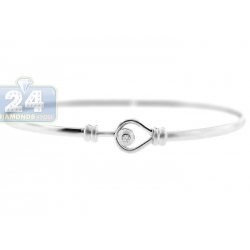 It features two adorable heart links accented with icy round brilliant-cut diamonds totaling 0.18 carat, SI1-SI2 clarity, G-H color. 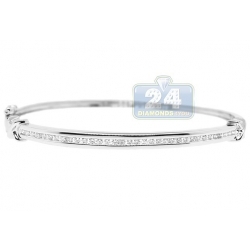 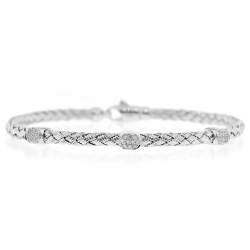 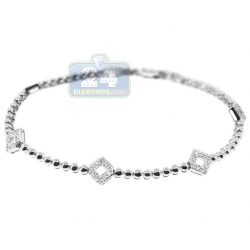 Our women's diamond bracelet measures 7 inches in length and 6 mm in width of central link. 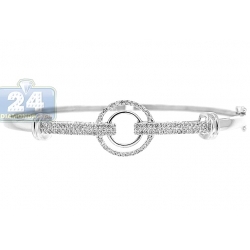 A sweet illumination for her wrist!